Horizon Air employee Richard Russell took off in an empty plane Friday night, flew around for more than an hour, then crashed on an island in South Puget Sound. 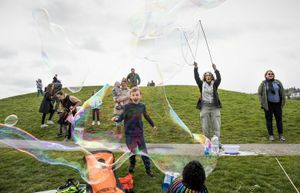 Richard “Beebo” Russell was one of about 12,600 people with access to aircraft at Seattle-Tacoma International Airport, according to an airport spokesman, a number that highlights security challenges at one of the fastest-growing airports in the United States. 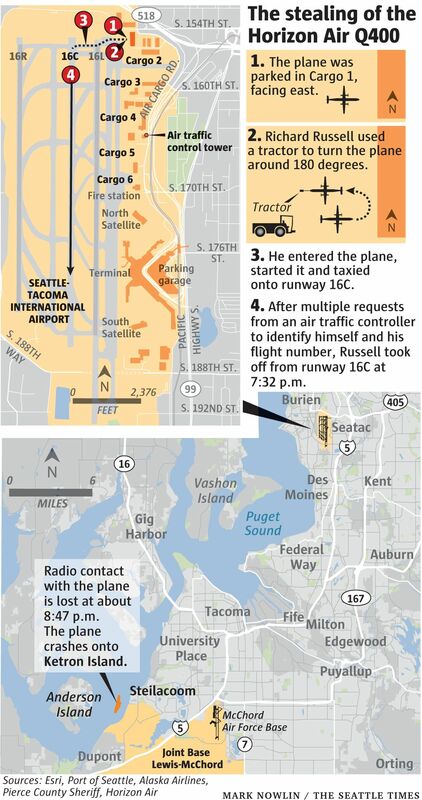 The airport has added temporary security measures after Russell, a ground-service agent, took off Friday in a Q400 turboprop plane and crashed it into a south Puget Sound island, officials said. 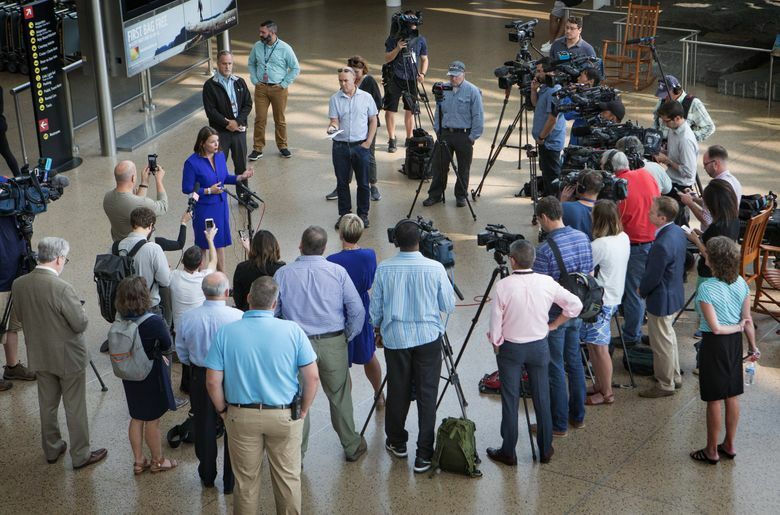 Port of Seattle Commissioner Courtney Gregoire said Monday at a news conference that the Port — which operates the airport — had not yet identified any lapses in security protocols after Russell, a Horizon Air employee, stole the plane. The port has beefed up security, Gregoire said. Cooper said police and security personnel have been conducting more checks in the cargo area. On Friday, Russell got into a pushback tractor, attached it to the empty aircraft and turned the airplane toward the runways, authorities said. He then taxied to runway 16C and took off at 7:32 p.m. He crashed about one hour and 10 minutes later in a wooded area of Ketron Island in south Puget Sound. Gregoire’s news conference offered little new information about the investigation into how Russell managed to steal the plane. 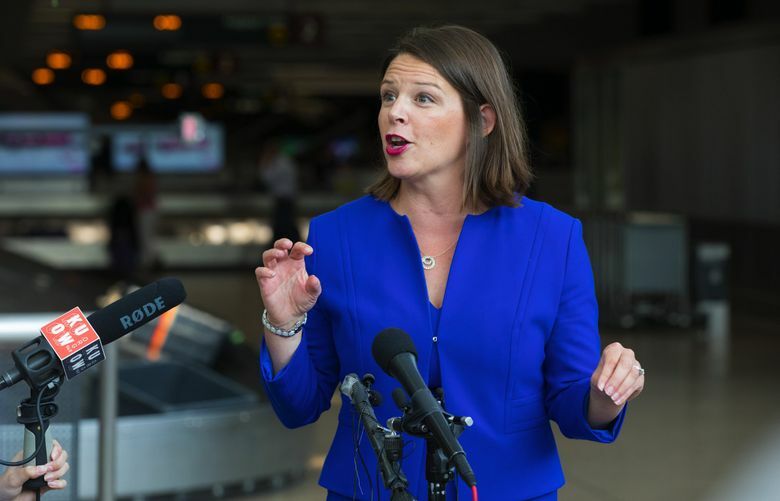 Gregoire said airport workers undergo federal background checks looking back 10 years. In May, Sea-Tac Airport also added physical screenings for airport workers who access secure areas. Workers must present a badge, go through a metal detector and biometric screening, which analyzes a fingerprint. Cooper, the airport spokesman, said workers are “red-lighted” and denied access to airport areas they don’t frequent. “Just because you have a badge doesn’t mean you can go everywhere,” he said. Russell was one of about 11,400 people who possessed credentials to be within the “airport operations area,” which contains the ramp area, gate area and several hangars, but not runways or taxiways. Gregoire said the Port, airlines and other stakeholders already had begun to review security processes. She said she expected it would be part of a “national conversation” that involved a federal government review of regulations. 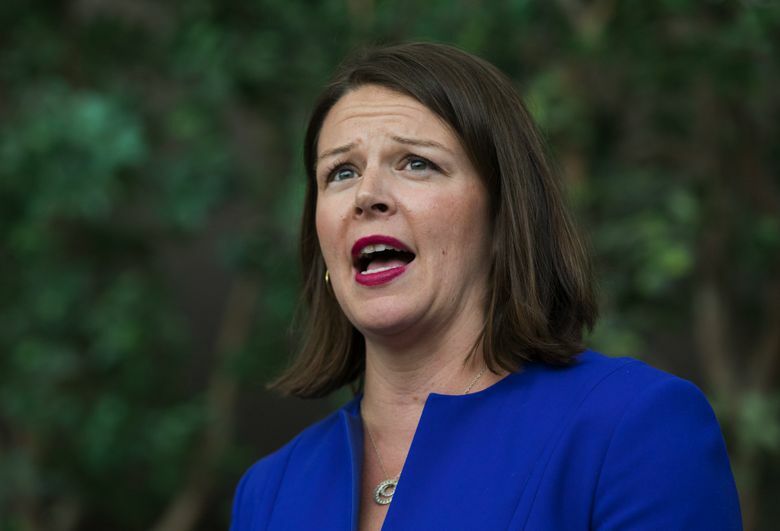 Later Monday, U.S. Sen. Maria Cantwell called for a hearing to examine airport-security protocols. The FBI said Sunday night that it had recovered the flight-data recorder and components of the cockpit voice recorder from the wreckage, as well as human remains. The Pierce County Medical Examiner confirmed Monday that the remains were Russell’s. Two trucks transported the plane’s charred wreckage to the Tacoma Narrows Airport on Monday as National Transportation Safety Board (NTSB) investigators looked for a site to house and examine the debris. An FBI spokeswoman didn’t respond to an email Monday about where investigators will store and examine the wreckage. Correction: An earlier version of this story incorrectly stated the number of people who have access to aircraft at Sea-Tac Airport. Staff reporter Lewis Kamb contributed to this report.